My brother has been putting together a book of family recipes. 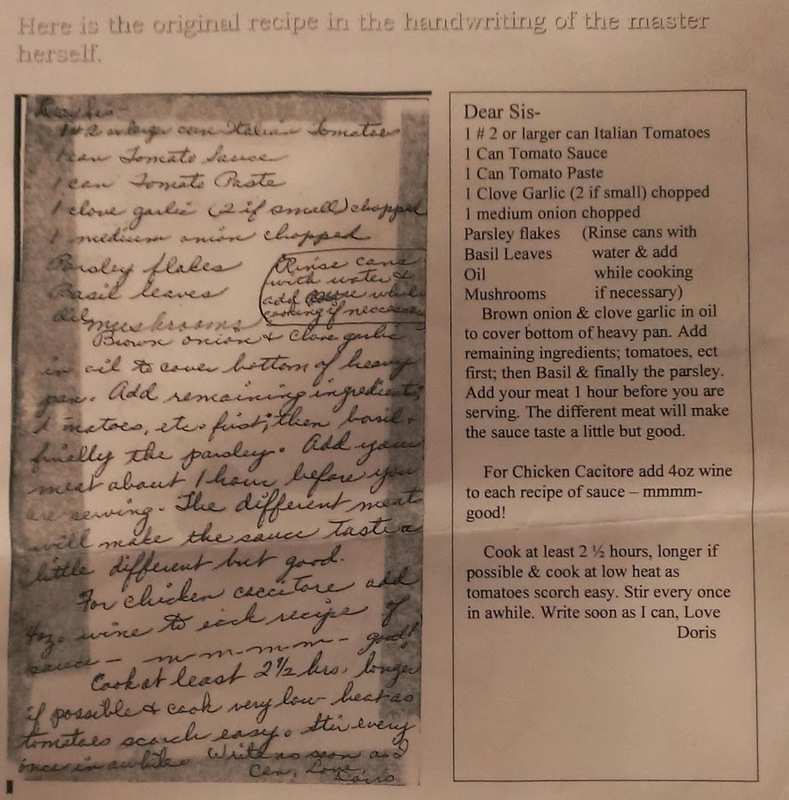 Luckily, my aunt found where my mom wrote down her spaghetti sauce. It's the only time she wrote it down. I'm so glad because I couldn't get it right; here I was missing some key ingredients and cooked it too fast. It hit me though to see her handwriting again. And then to finally to taste it that sauce again. It brought her closer. I remembered the one time she taught me how to make it but I didn't get it all written down. It chokes me up to see her writing and the Love, Doris. I miss you, Mom, but this gave me good memories.